Through our consulting business, Greenview Strategic Consulting, we have had the pleasure of working with a variety of new entrants and NEM-veteran organisations alike in the generation sector of the NEM over the past few years (along with other clients). While everyone has their own reasons for engaging our business, there are several common themes we are finding as we travel with them that has prompted this post on WattClarity. Although this article is directed at new entrant generators, with the amount of change occurring in the industry this is equally as important to all types of participants, from tyre-kicker developers to incumbents. As GVSC celebrates its 3-year anniversary, think of this as a prompter for you and your interests to understand and respond accordingly. Our industry is growing in many ways and people from all sectors of the economy (from within Australia and beyond) are becoming engaged, which is fantastic. For those who haven’t worked in electricity before, it takes some time to recognise that electricity is like no-other commodity or complex system on the planet. In fact, it is often referred to as one of (if not) the most complex systems ever designed – because without it, lots of things in modern society begin to change very quickly. Things that often challenge new entrants are factors such as the immediacy of the market, the lack of storage/stockpiling options – hence the requirement that production must meet demand at all times, which thereby introduced a high degree of variability and volatility. Even folks used to electricity markets overseas note the volatility of the Australian NEM because it’s one on the few “Energy Only” markets. Due to the complexity noted in Theme 1, it is necessary to simplify things to ensure outcomes are achieved and understood. While this is necessary (even the very complex dispatch model AEMO uses to determine 5-minute prices is a major simplification of what really happens on the power system), it is important to ensure our financial, regulatory and technical simplifications are all aligned with what is required from the business AND aligned with reality. A recent conversation around MLF’s, where a developer told me ‘… the degradation in MLF was not in our business-model; who do we need to talk to get the MLF changed by AEMO’ underscores the confusion at times. As a consultant, we are often told ‘AEMO is being difficult, can you help?’. Most of the time, it is a matter of educating our client and working with our client and AEMO to achieve reasonable and rationale outcomes. And while it is important to have the financial models and spreadsheets representing potential outcomes going forward, they are but a simplification of the world and will need to be updated to reflect reality – guaranteed! I wrote here about FCAS back in March 2017, and I’m told it’s still a widely read article on WattClarity. FCAS Matters! Whilst energy valuation is the main game of the wholesale electricity market, worth an estimated $15bn in 2017, that energy valuation does not occur without a number of fundamental technical factors being in place, one of the most important being frequency control ancillary service (FCAS). As the islanding events on 25 August highlighted, when a disturbance happens, lots of dollars can change hands very quickly if you, as a participant, are not aware of all the various elements affecting your revenue. There has been growing cost of FCAS over recent years in the NEM and many markets around the world, following the closure of thermal plants. However there’s also opportunity, with the new breed of FCAS providers (such as batteries and demand response). Together this means that FCAS is certainly no longer a ‘nuisance market’, and is something that is ignored at an owners peril! Theme 4: The NEM is complex! Participating in the NEM (whether as a generator, retailer, or market customer) requires a sophisticated approach to manage what can be a very complex beast. Managing energy and frequency control ancillary services (FCAS), fuel costs, the range of thermal and intermittent renewable generation sources (including distributed generation), inter-connection between regions, constraint equations, and highly variable regional demand profiles highlights the complexity of issues and interacting variables that market participants must navigate to optimise their revenue (or manage cost outcomes). The introduction of new technologies (including battery storage), the continued growth in renewable generating capacity, developments in demand response, and continued uncertainty in energy and climate policy point to a future of increased complexity and changing market landscape. Theme 5: The operations of your plant are complex! Despite the urban myths and stories we sometimes hear in the industry, ‘sticking a few poles in the ground, slapping on a few panels and wires then watching the dollars come flooding in’ is nonsense! Voltage, Active Power, Frequency and harmonics are important concepts that must all be operating in union with the rest of the power system at 10-20 millisecond levels. Generator Performance Standards are a necessary requirement in the power system that cannot be simply left to the end of a connection process as ‘just detail’. Similarly, leaving this part of the process to the developer (who may or may not be around when the plant is operating), is a recipe for significant operating issues going forward. The NEM is centred around active power management every 5 minutes, 24/7 – and as such it is incredibly important to understand what the expected demand is, hence what generation will be required in the next 5 minutes. Once these fundamentals are understood, price is used to incentivise (or dis-incentivise) generation to generate more or less. It creates a dynamic that price will generally be higher when more generation will be required, and low when less generation is required in the next 5 minute period (there is never any ‘spare’ electricity even in the case of batteries – the power system is always balancing demand and supply such that it equals each other). 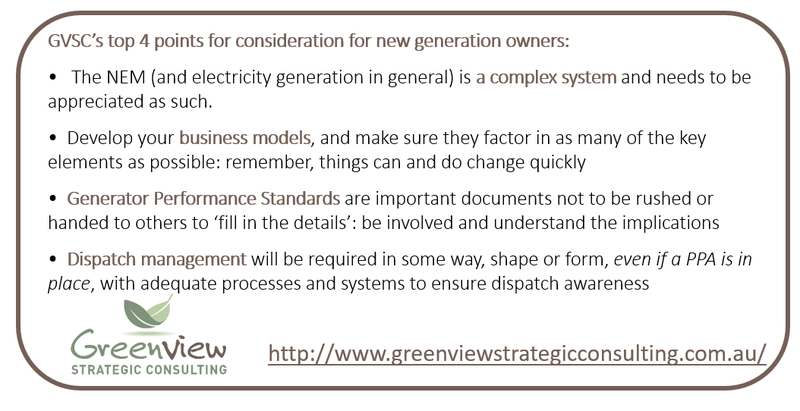 Therefore, when we discuss how much generation is being installed, a mature discussion will also include factors such as ‘expected capacity factor’, ‘expected generation profile’, ‘volume weighted price expectation’ etc. In order to understand these types of variables, concepts such as marginal loss factors (MLFs), constrained generation and expected price when generating must be known – this is dispatch management! The general public (and some media) may not understand the difference between 200MW of Generator A (with a 35% capacity factor) and 200MW of Generator B (with a capacity factor of 75%) in terms of MW and MWh, but we in the industry must! For (particularly) renewable project developments, a PPA will ensure a degree of revenue certainty for owners and financiers but ensuring those revenue outcomes still requires significant focus on spot market activities, as the participant’s MWh volume is not guaranteed (despite having numerous contracts in place for O&M etc). One such example is mitigating the cost of ancillary services levied on generators using the “Causer Pays” principle. Semi-scheduled generators are incentivised to follow their assigned dispatch target to minimise their resulting causer pays contribution factor and assigned share of FCAS regulation costs. Providing FCAS services is also an emerging opportunity for renewable generators to develop an alternative revenue stream where technically feasible. The sophistication required of market participants to navigate the complexities of the market necessitates the development of appropriate systems and processes. The large volume of market data presents both a challenge and an opportunity to interpret and develop insights into market outcomes and drivers. Developing systems to utilise this data and engage with the market are key for effective and informed decision making. Business processes that support efficient market operations and meet the range of regulatory compliance obligations placed on market participants are also essential. Having worked with all segments of the industry in recent years, we are seeing the traditional business model (i.e. of pushing all the costs further down the supply chain, with costs eventually ending at the consumer) is increasingly diminishing. This is happening, at least in part, because consumers can now do something different: they can generate their own electricity at a generally reasonable rate. The concept of pushing risk ‘anywhere but with me’ is leading to organisations accepting risks with little or no concept of what it entails, to get the deal done and then passing down the chain. It may also be engendering a culture within some organisations of pure contract management, hoping the lawyers have the technical detail correct, with little or no understanding of what the technical aspects really entail. As an industry, we need to be more sophisticated than this. Theme 10: There is no such thing as free electricity! It is important to appreciate that, as a fuel source, despite wind and solar not requiring any pre-processing prior to hitting the turbine blades or solar panels, that does not mean it is free! Most wind and solar vendors will charge the owners of the plant a fixed variable fee per MWh, thereby instantly creating a marginal cost for every MWh generated. This fixed fee could be something like $5-$10/MWh or higher, remembering that this fee is spread across volume of operation, which might be less than initially forecast. On top of these charges, owner’s operations costs, maintenance, financing and the like all create a cost that need to be recovered in order for any business to be economically sustainable. Jonathon has nearly 20 years practical experience in the Australian NEM, having held senior operational and trading roles in participant organisations and now as the Director of a specialist market consulting organisation, with a specific focus on renewable energy integration. Jonathon has worked with large integrated utilities through to small new entrants, market regulatory organisations, transmission system operators and not-for-profit market observers. Jonathon has spent considerable time working with AEMO, AEMC and the AER. As a former member of the NEM’s Dispatch and Pricing Reference group, Jonathon’s intricate knowledge of power system dispatch and security, coupled with practical, on-site experience with power system operations across all forms of electricity generation, allows him to bring operational and energy trading realities to strategically significant strategic and policy discussions. Jonathon has degrees in Engineering and Management, and is a member of the Australian Institute of Company Directors, CIGRE and IEEE. You can find Jonathon on LinkedIn here. 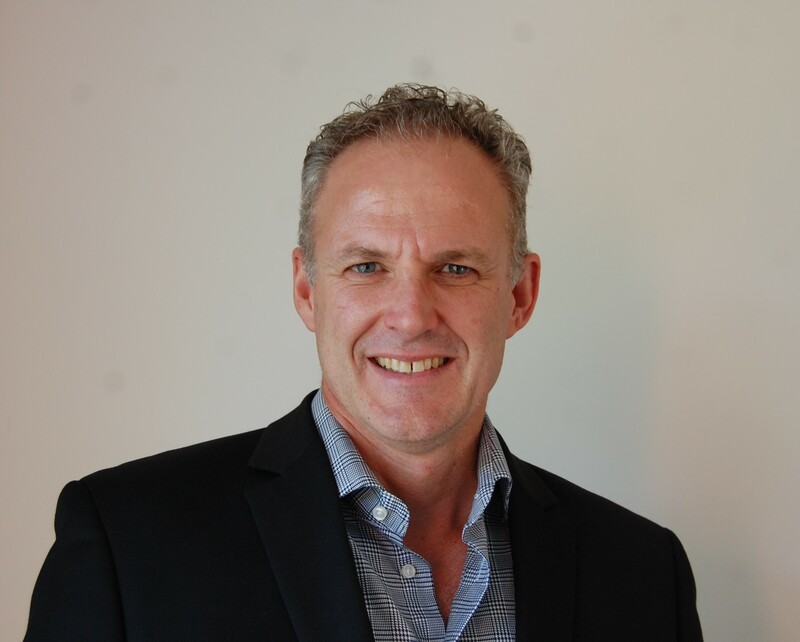 Simon has 20 years’ experience in the Australian electricity market having held several senior positions over that time with generation business Loy Yang A, the energy services division of Schneider Electric, and most recently as an Associate Director with Greenview Strategic Consulting. Simon has extensive experience in business strategy development, negotiating structured deals and electricity hedging arrangements with retailers and large energy users; spot price forecasting and market analysis; and energy and carbon risk management. • Managed Schneider Electric’s Markets and Strategy team, overseeing the procurement and risk management of more than 6TWh of annual commercial and industrial customer load. • Led the development and implementation of Loy Yang Power’s carbon action plan and trading strategy in response to the Clean Energy Future legislative package, and the commencement of a carbon price mechanism from 1 July 2012. Simon holds a Bachelor of Business from Monash University, and a Graduate Diploma in Applied Finance from the Securities Institute. You can find Simon on LinkedIn here. Is the market, that wasn’t broken, now dead? Guest author, Andrew Bonwick, posts his thoughts on a range of challenges confronting us in this energy transition. 2 Comments on "Lessons from the trenches – 10 tips for new entrant generation developers"
Thanks – Can you give an example of what you mean by “pushing risk anywhere but me” under Theme 9?